Les montres de la brillance, du bruit et des bonbons ! 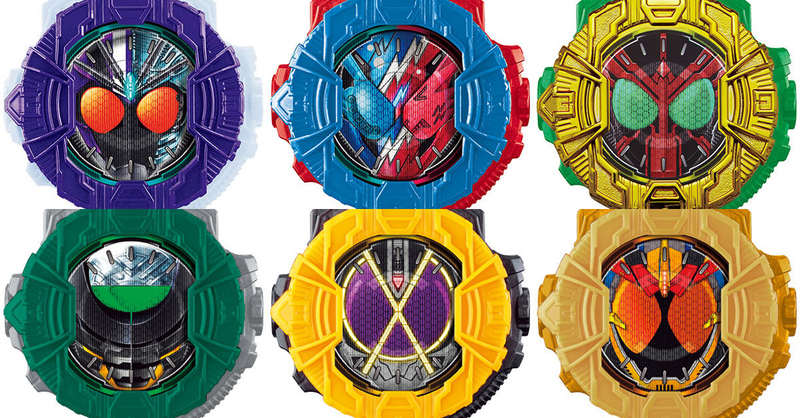 Watches of bright, sound and candies ! 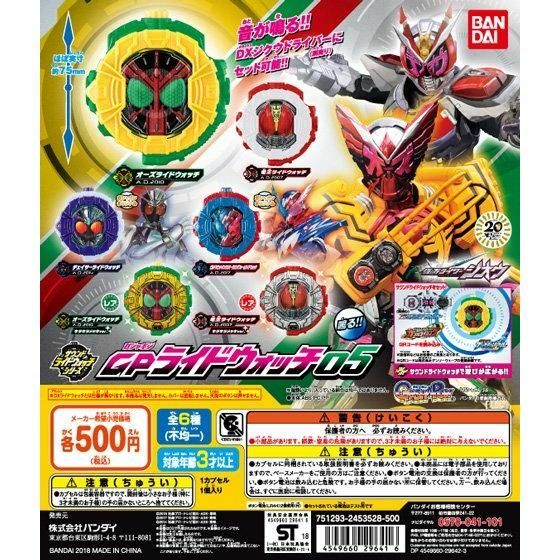 Prix/Price : 500 ¥ (~ 4 €/~ 5 US $) chacune/each. 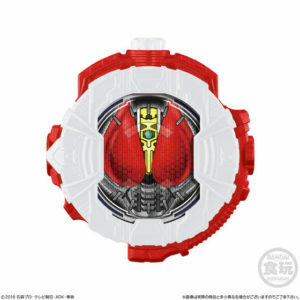 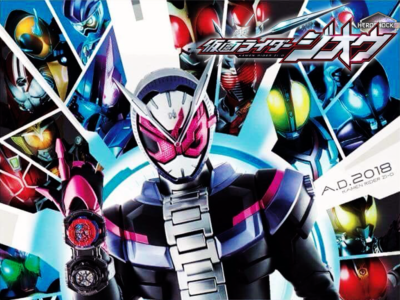 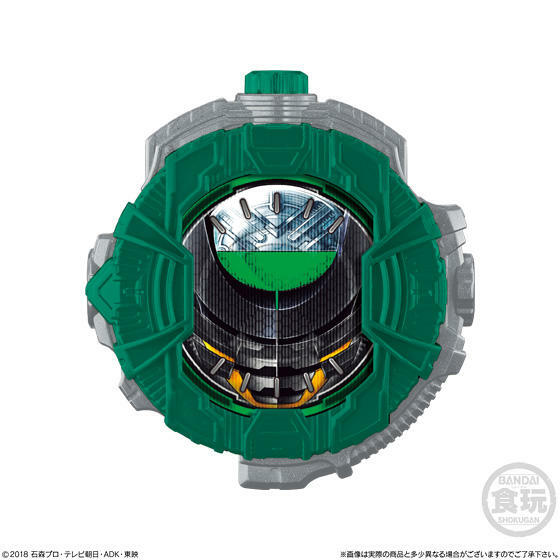 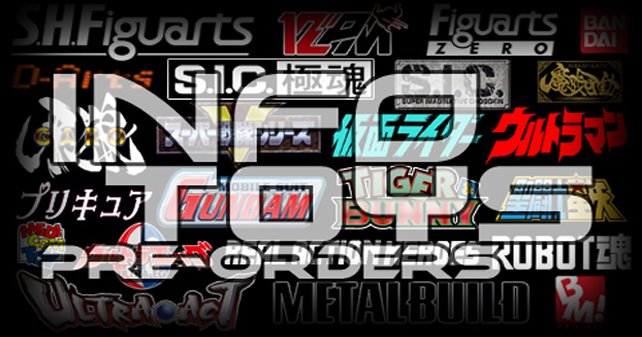 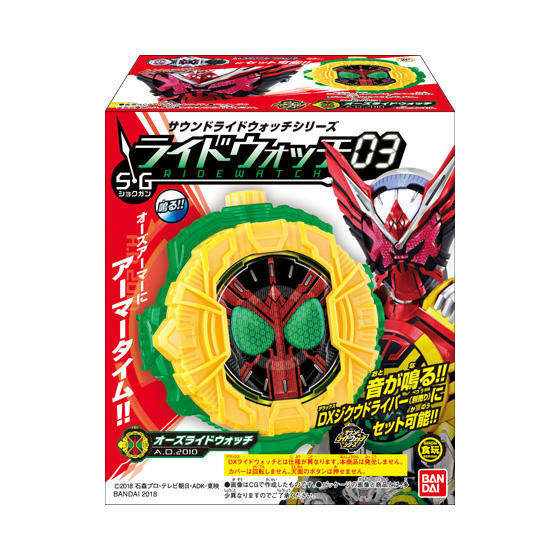 Contenu/Contents : La Kamen Rider Den-O Ridewatch, la Kamen Rider OOO Ridewatch, la Kamen Rider Chaser Ridewatch, la Kamen Rider Build RabbitTank Sparkling Form Ridewatch, la Kamen Rider Den-O Ridewatch (version brillante) et la Kamen Rider OOO Ridewatch (version brillante)/The Kamen Rider Den-O Ridewatch, the Kamen Rider OOO Ridewatch, the Kamen Rider Chaser Ridewatch, the Kamen Rider Build RabbitTank Sparkling Form Ridewatch, the Kamen Rider Den-O Ridewatch (shiny version) and the Kamen Rider OOO Ridewatch (shiny version). 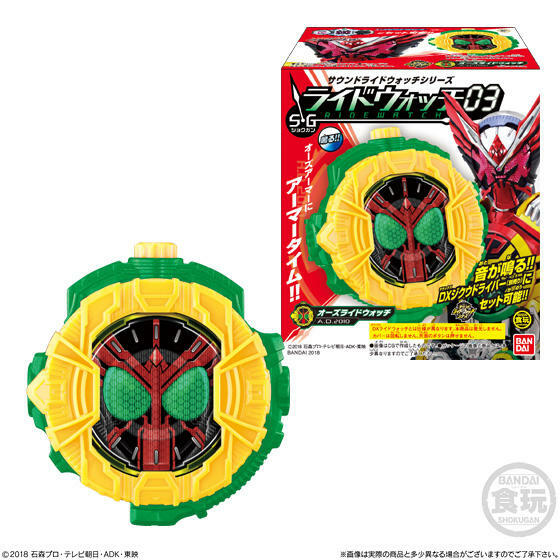 Prix/Price : 5400 ¥ (~ 42 €/~ 48 US $) l’ensemble de dix boites/the set of ten boxes. 540 ¥ (~ 4 €/~ 5 US $) à l’unité/individually. 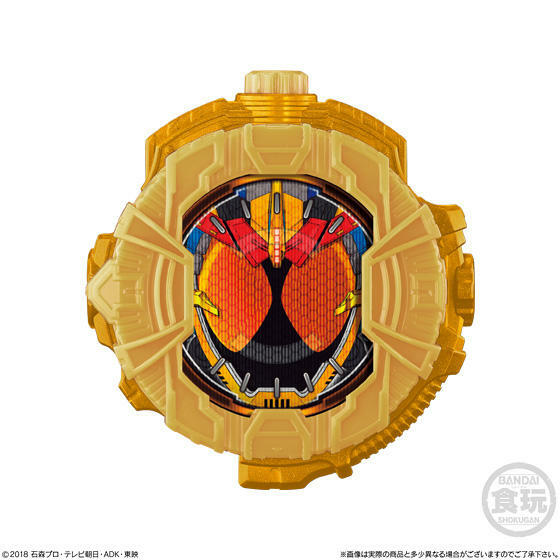 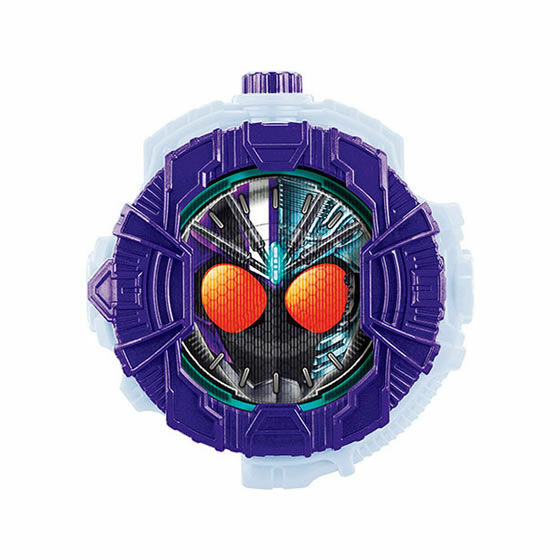 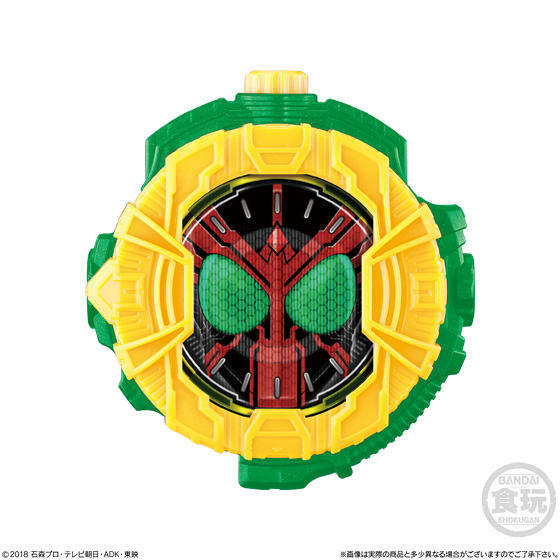 Contenu/Contents : La Kamen Rider OOO Ridewatch, la Kamen Rider Den-O Ridewatch, la Kamen Rider Birth Ridewatch, Kamen Rider Kaixa Ridewatch et la Kamen Rider Ghost Grateful Damashii Ridewatch, chacune avec une boite, une notice et un bonbon/The Kamen Rider OOO Ridewatch, the Kamen Rider Den-O Ridewatch, the Kamen Rider Birth Ridewatch, Kamen Rider Kaixa Ridewatch and the Kamen Rider Ghost Grateful Damashii Ridewatch, each with a box, a manual and a candy. 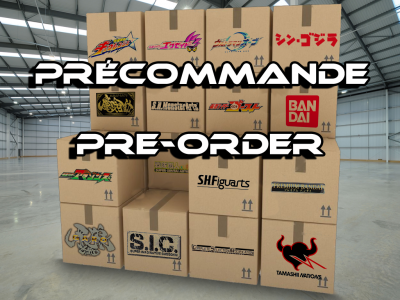 Complément d’informations/Additional informations : Le contenu précisé ci-dessus est donc réparti sur cinq boites qui seront vendues individuellement mais aussi proposées dans un ensemble de dix. 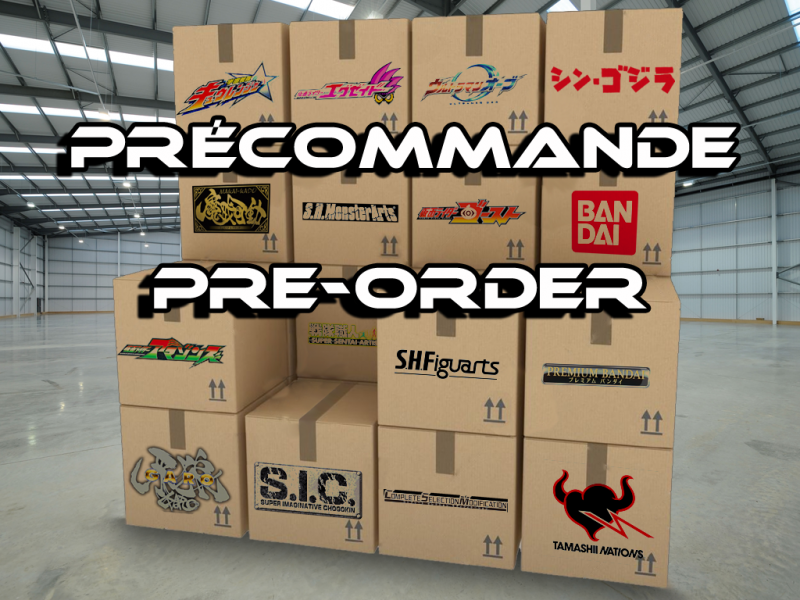 C’est à dire qu’il y aura au moins les cinq Ridewatch mais que les cinq autres boites restantes de l’ensemble seront des exemplaires supplémentaires distribués au hasard/The content specified above is therefore spread over five boxes which will be sold individually but also sold in a set of ten. 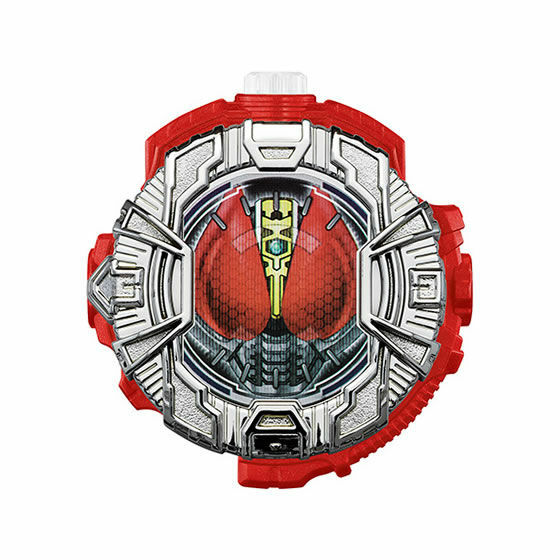 That is to say, there will be at least the five Ridewatch but the remaining five boxes of the set will be additional copies distributed randomly. Previous Post Previous post: Lupinranger VS Patranger VS Kyuranger ?